Accept a quote from Pazazz Blinds & Shutters in the month of April and go into the draw to win $250 off the total (minimum spend $2000). Pazazz Blinds & Shutters are proud to partner with the leading names in the industry. As an independent supplier, we get to chose the best manufacturers and partners to get the best value and the best quality product for our customers. We’re not restricted by a head office telling us what we can and can’t sell. If you like it, we can get it, it’s that simple. With Pazazz Blinds & Shutters, you can have confidence that you are getting the best quality and value blinds, shutters and awnings for your home or business. These are the businesses we trust to supply our Coastal PVC Shutters, Provincial Basswo0d Shutters and Urban Aluminium Shutters. Capitol Shutters are a trade supplier of high-quality PVC, timber and Aluminium Shutters. They supply Pazazz with the Opus range of shutters. The only supplier of Fusion PLUS, the world’s most durable poly shutter, Sunline Shutters supply Pazazz Blinds & Shutters with plantation shutters and blinds for domestic and commercial applications, both internal and external. MYT Shutters offer high-quality shutters for both inside and outside. Their factory in China has been developing and manufacturing a vast range of shutters for over 10 years. These are the businesses we trust to supply our ZipScreens, Veue Series Awnings, Sirocco Range and Cabrera FAA Awnings. Dalekit Awnings have been manufacturing Outdoor Awnings in NSW for over 20 years. They supply a range of Zipscreen, Pivot Arm and other quality awning products. Total Window Concepts is a leading manufacturer of custom-made window furnishings. Their goal continues to be meeting the demand of consumers for well-priced, high-quality blinds. Combining 30 years of experience with Australia’s best selection of industrial and commercial textiles, Ricky Richards is the most trusted source for a variety of products including blind and awning fabrics. The Nolan Group is a diverse national supplier of commercial & industrial textiles. They supply Pazazz Blinds & Shutters with the quality fabrics their customers expect. We have been manufacturing industrial and consumer fabrics in Australia for over 50 years. These are the businesses we trust to supply our range of indoor blinds. Whether it’s for a domestic or commercial application, National Blind Suppliers has a variety of smart and innovative solutions for all jobs, great or small. CW Systems is a family business, originally established in 1998. They specialise in wholesaling quality products to the window furnishing and sun shading industry. Available in aluminium or a classic timber look finish, these versatile Venetian Blinds are suitable for use in any commercial or residential environment. Arena Honeycomb Shades are a stylish, functional, versatile, energy efficient window covering solution. SUNBOSS is a world leader in the design and manufacture of Roller Blind hardware systems and is the largest sold product worldwide. These are the businesses we trust to supply our range of Roller Blinds, Roman Blinds and Panel Glide Blinds. 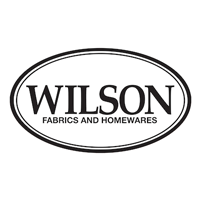 Wilson Fabrics is one of Australia’s largest soft furnishing wholesaler, with offices and showrooms throughout Australia. Wilson Fabrics specialise in supplying drapery and blind fabrics to custom made curtain and blind retailers, like Pazazz. We all appreciate and prefer a well-made product. These values are what shape the way Four Families design and craft their blind fabrics. Each Fabric comes from a simple spark of inspiration. Home of international brands Mermet, Turnils and SunShadow, Bricos offers the latest technology in European systems and componentry, alongside a comprehensive range of intelligent, innovative fabrics. Ever since we created the aluminium blind in 1946, Hunter Douglas has defined our industry with proprietary products that deliver revolutionary style and functionality. These are the businesses we trust to supply components for our home automation and motorisation systems. ALPHA Tubular Motors offer reliable, intuitive motorization solutions with a highly competitive edge. There’s no room for almost when it comes to your safety or comfort. All Somfy products, especially motor endurance, are tested and checked under the most extreme conditions, providing a long-term warranty: 5 years* for motors, automated units, accessories and alarm systems. Rollease Acmeda is a leading innovator of window furnishing hardware solutions. Superior systems that have evolved with time, and technologies that have been enhanced with extensive research and development, keep Rollease Acmeda at the cutting edge of window furnishing trends. JAI have been manufacturing, importing and supplying superior components to Australian and New Zealand blind makers and wholesalers for over 50 years. One of the most accomplished Australian Manufacturers and Wholesalers of high quality, environmentally friendly home improvement products.